The Most Versatile Feedback Software Available Today! It’s no secret that much of our investment in interpersonal skills training is wasted without proper follow-up and feedback. 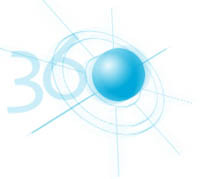 We can provide 360 feedback services to your organization on a project by project basis. We handle all the details and give you the final reports. If needed, we can also provide coaching to the subjects of the feedback as well as orientation sessions (virtual or classroom) for subjects and raters. For more information contact us by phone (800/864-4911) or email to learn more about our services. You obtain a license to use to 20/20Insight in your organization which includes a one year subscription to training on demand and we can support you in getting started. You can download a PDF booklet on feedback services, a one page summary, and a sample 360 report. Let us take you for a tour. In 90 minutes we can show you this tool, how easy it is to customize a an assessment, how it can be used for both 360 and organizational assessments and give you a peek at the library of assessment items and categories that will get you started just send us an email to set this up. Take a self-guided tour: Click here for our online showcase! After your tour we can set you up for a free 30-day demo, a working copy of the software so you can try a small project before you purchase. 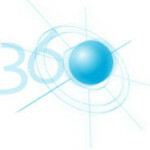 This demo will provide you with one license to administer a 360 feedback project for one person.